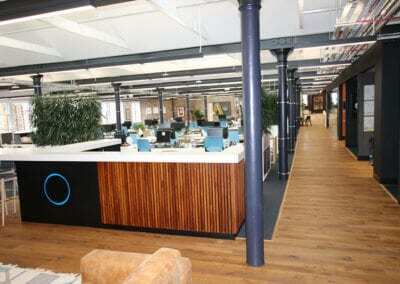 CAT B OFFICE FIT-OUT, ARCHITECT’S NEW STUDIO SPACE, GLASGOW. 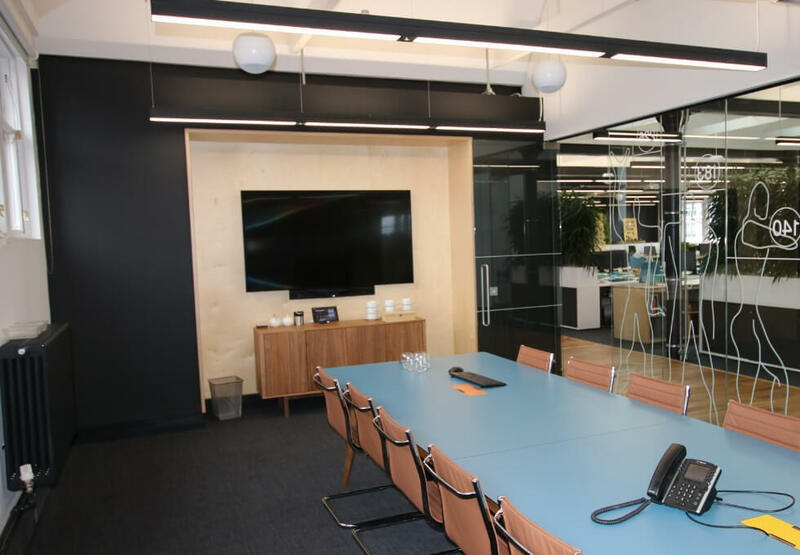 Allstar Joinery was appointed as the main commercial joinery subcontractor including bespoke manufacturer and office fit-out for this project by principal contractor GHI Contracts Ltd. The purpose of the project was to complete the internal fit-out of the sixth floor of the Garment Factory, an exciting new studio space to accommodate Threesixty Architecture’s continued growth. Vast amount of works to be completed in a very short timescale. 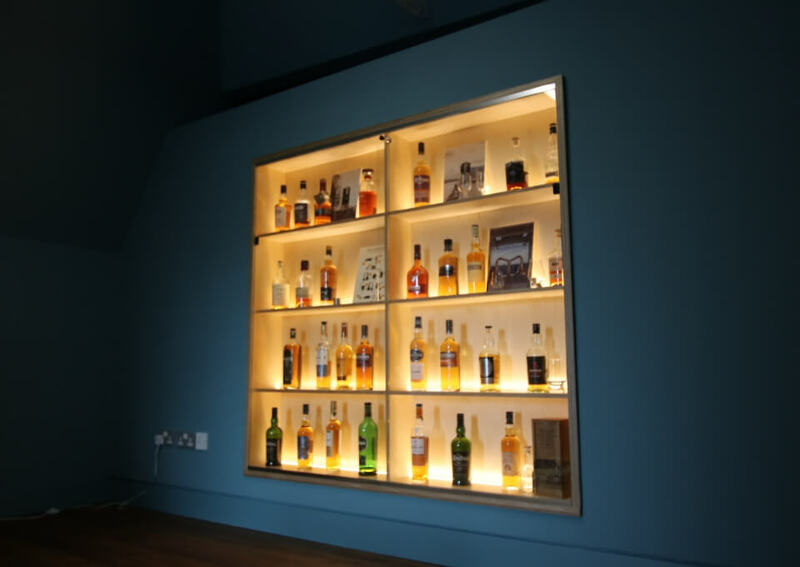 The attention to detail required to meet the exacting standards of the architectural design and the build. 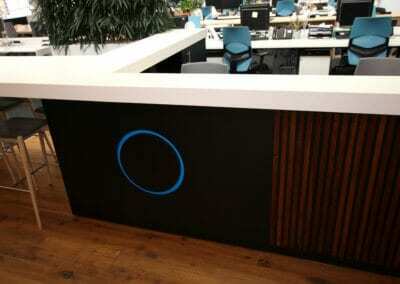 Bespoke reception desk with integrated Corian® counter top. 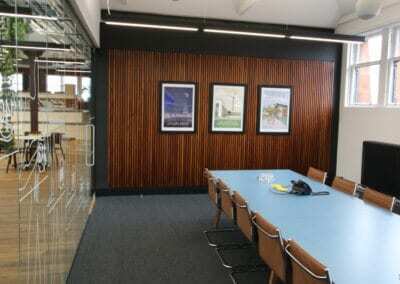 Bespoke birch veneer featured wall panelling. 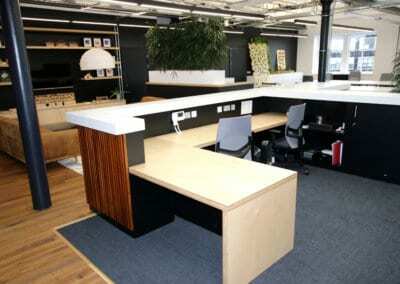 Several fixed bespoke birch veneer desks. 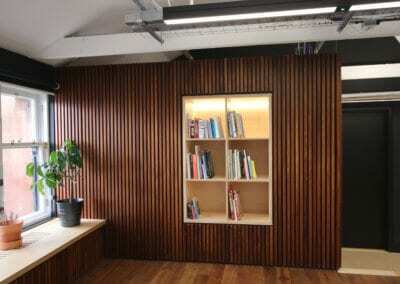 Bespoke birch veneer shelving throughout. Bespoke Corian® worktops to main kitchen and island. 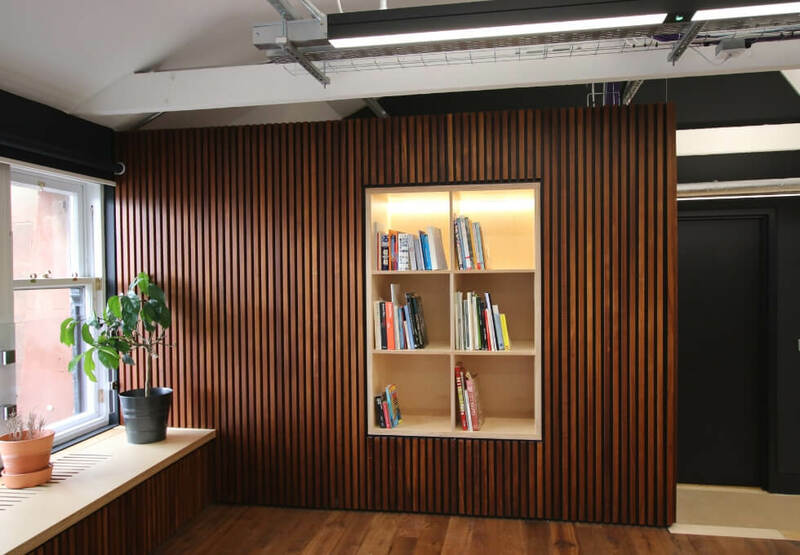 Bespoke birch veneer floating storage units. • This was an eight week programme of works. As always it was a fast moving programme. • Integrated the Allstar Joinery team in place within a quick response time. 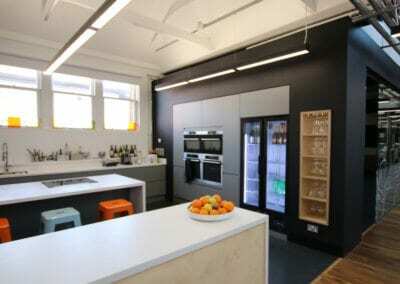 • We ensured the project was well resourced to meet project needs and budgetary limitations. • All orders had to be fast tracked to the site to meet critical delivery dates. • With the Allstar Joinery in-house sustainable production facility in Cumbernauld, Glasgow, we were able to facilitate all bespoke manufacture, bespoke commercial joinery and design changes quickly to ensure the project stayed on schedule and within remit. 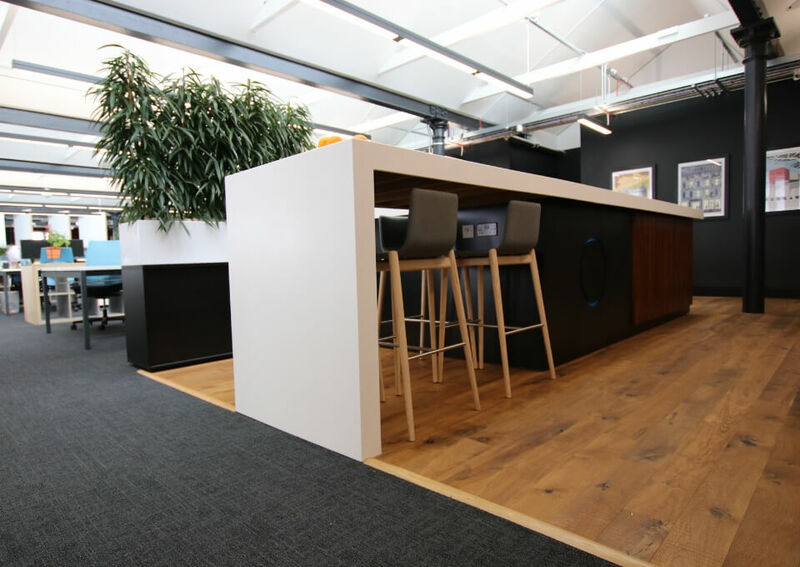 The attention to detail required to meet the exacting standards of the architectural design and commercial joinery fit-out. • Careful programming of work sequences and deliveries. • Manufacturing and forming of all bespoke items. 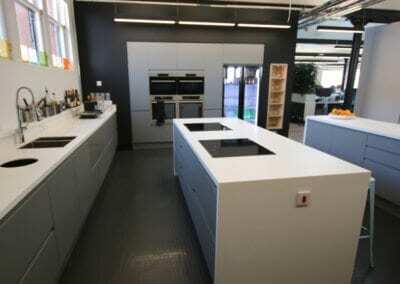 • Manufacture of Corian® worktops, counter tops and islands. • Installation of Corian® integrated into the respective areas. • Installation of all other key components. 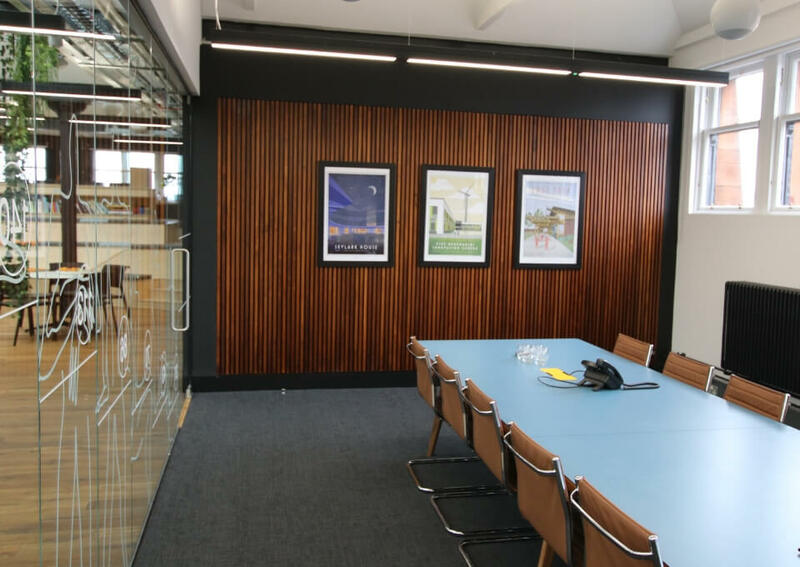 Working in conjunction with GHI Contracts Ltd and Threesixty Architecture teams we were able to implement the architect drawings to suit the overall theme of the project. 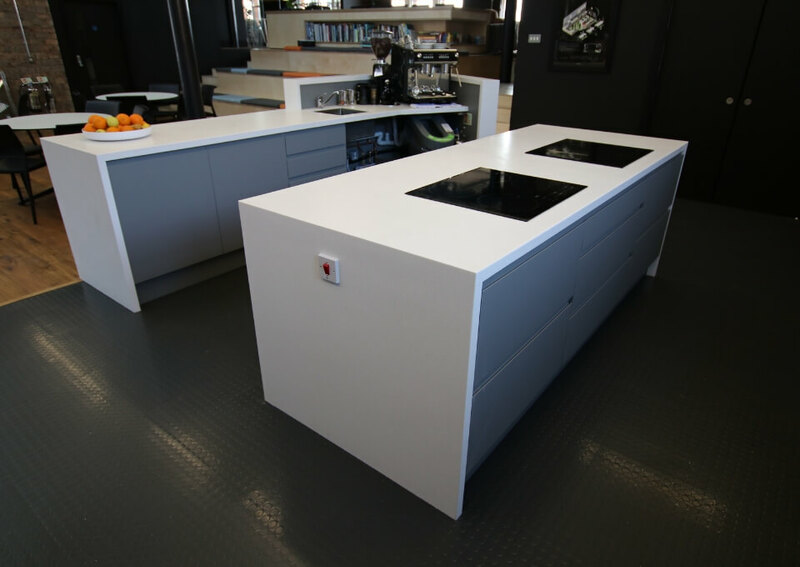 Manufactured with a mixture of solid timbers and Corian® solid surfaces. 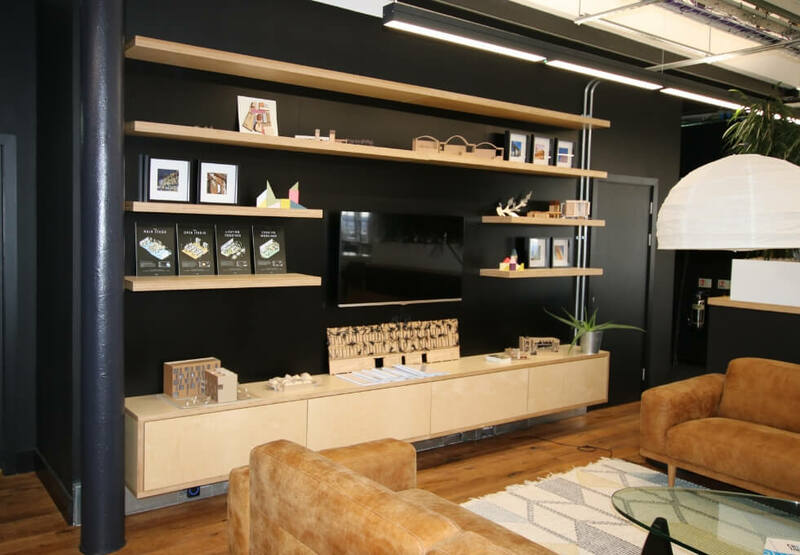 Creating a welcoming desk work area and reception. 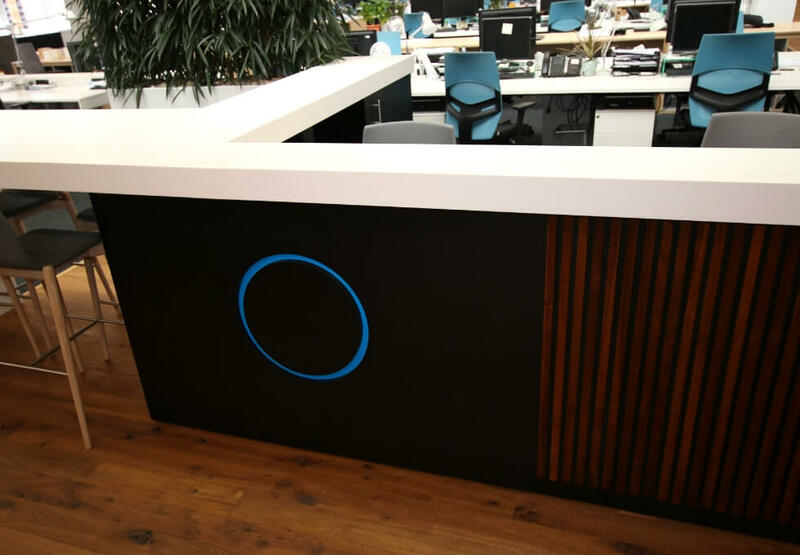 Back lit opium logo signage integrated into the reception desk design. Mechanically engineered for free lightweight movement for dual purpose. Open position used as a magnetic notice board. 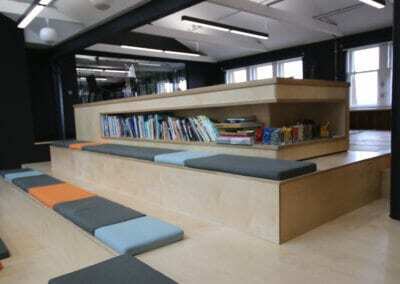 Architect office leisure area raised platform blended in with storage area. Two presentation areas designed for client meetings. 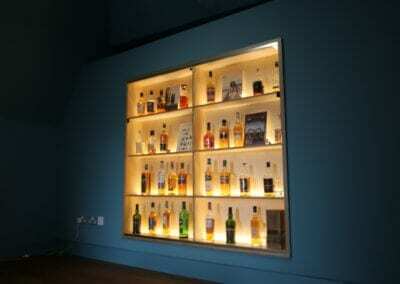 Bespoke birch shelving and sundeala wall lining. 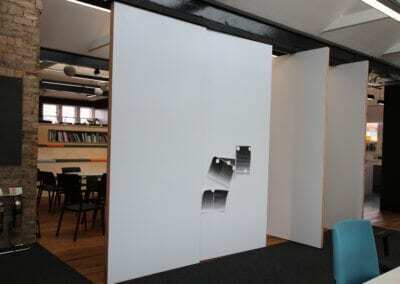 Bespoke floating storage units on the back wall next to reception. Made from birch veneer plywood. Provided a clutter free floor area. 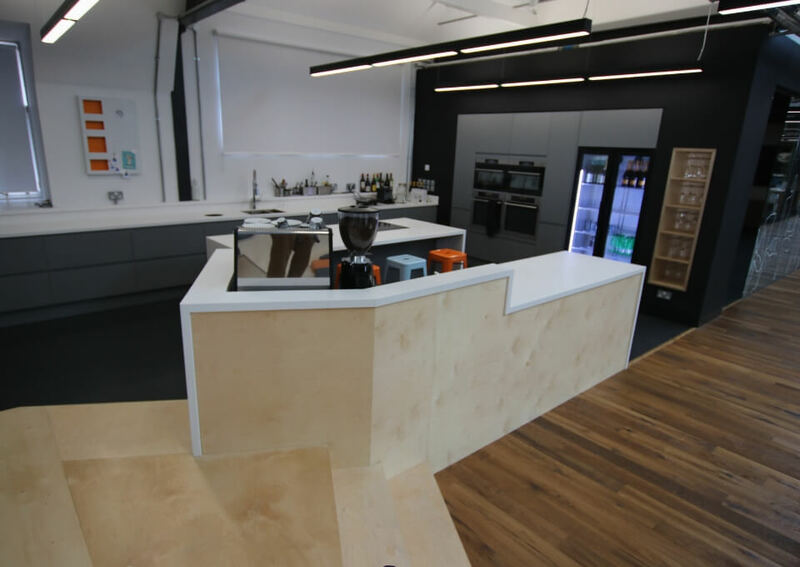 Allstar Joinery completed the project within timescale and budget. 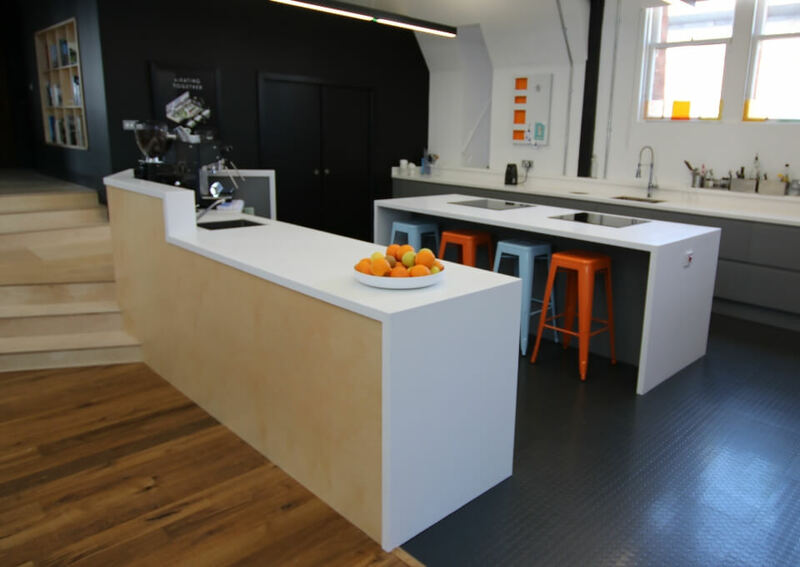 How can Allstar Joinery’s unique all-in-one offering help you? 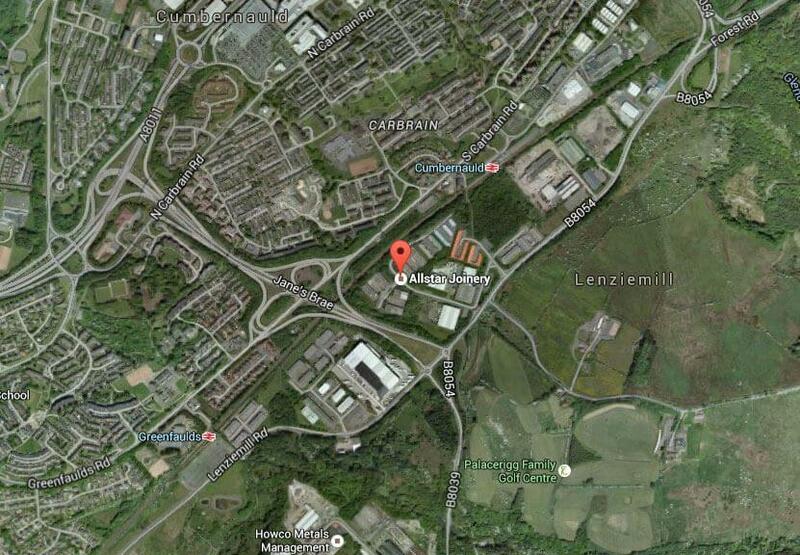 We respond to enquiries immediately, so we’ll get back to you very quickly to arrange a time to chat.